THE ALL NEW 2019 KAMOA E5 SERIES IS IN STOCK! Songwriters and Those Who Like the Tonal Warmth of an authentic “Spanish Guitar." The Kamoa® E5 tenor is an elegant small-batch, handmade instrument giving you a players experience unmatched by other ukulele brands. Kamoa® ukuleles are always made with 100% solid wood (we do not use any laminates). You will feel what we mean by "outperform" when you increase your dynamic attack on our premium solid Cedar top. The famously warm and woody tone of Cedar combined with the innovative Kamoa® design yields a big full projection which makes many other mass-produced ukulele brands sound like little plastic toys in comparison. 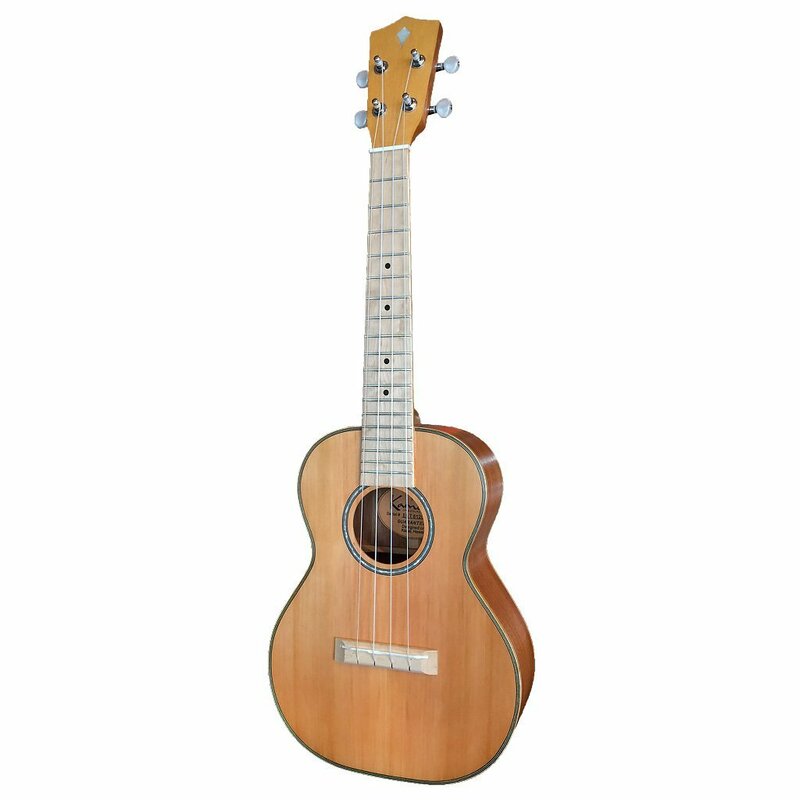 The scantling Kamoa® design combined with the genuine solid wood Mahogany back sides and neck Gives this E5 Kamoa® ukulele a feather weight elegance with a big Spanish guitar punch! You will be amazed at the sound and so will the listeners.